I wouldn't in any way expect the next GH card to have an SSD or NVMe interface so as Mark said, there's pretty much no way we're going to see it in the next GH camera. Since it's already possible to make micro 4/3 sensors that have 18-20 megapixels and because they've already done a bunch of the work on the ASIC for the EVA-1, I'd think it much more likely that the GH6 will come with a capability for 5.7k non-raw video. And that's great. I still don't know why everybody is so obsessed with wasting tons of disk space shooting raw video. 10-bit video from the current GH5 looks great, as does 10-bit from the Z-Cam E2. If Panasonic want to throw a bone to people who think that a 400 megabit all-i codec is what's holding back their video productions, they could add ProRes, maybe. And the current HDMI spec cannot output RAW. Atomos Ninja V can record raw over HDMI, the problem is no camera is outputting it the moment. But when they do, Atomos is there waiting. Outputting RAW video is not part of the current standards (specs) for HDMI. It is not feasible this will ever happen with any current or future camera. RAW is output, as you know, via SDI, on some cameras. The only way the Ninja V is going to get RAW input is if there is an SDI adapter made for it. The real issue is whether that is feasible and then whether that will happen. Right now its use for me is to enable 10bit 422 4K 60P from the GH5 and 4K 10bit422 from the tiny RX0. It is useless as a recorder for the FS5/FS7. Atomos has mentioned raw multiple times. Just google it, this is a very well known fact about the Ninja V (just they lack any cameras to work with it at the moment). Yes it is not part of an official standard, yet. Likely Atomos is trying to push their unofficial way to do it for now, with the hope to make it the industry standard way to do it in the future. The Shogun Inferno can and does record RAW. So Atomos recorders have been recording RAW a long time. Yet no camera ever has ported RAW via HDMI. The "fact" you cite is Atomos responding to questions about RAW, from people like you, given they pushed Apple RAW. They respond by saying they can do it with the V. We just had announcements of multiple new cameras with enhanced video features from Nikon, Canon, Panasonic. None port RAW video via HDMI. The future is here, and no HDMI RAW. None port RAW video via HDMI. The future is here, and no HDMI RAW. We have no raw via HDMI not because it is hard to make - it is much more easy than SDI. But HDMI controllers design is extremely tightly watched and restricted (due to HDCP and such things). As far as I understood engineers - it is legal and restrictive agreements that stand on this way. 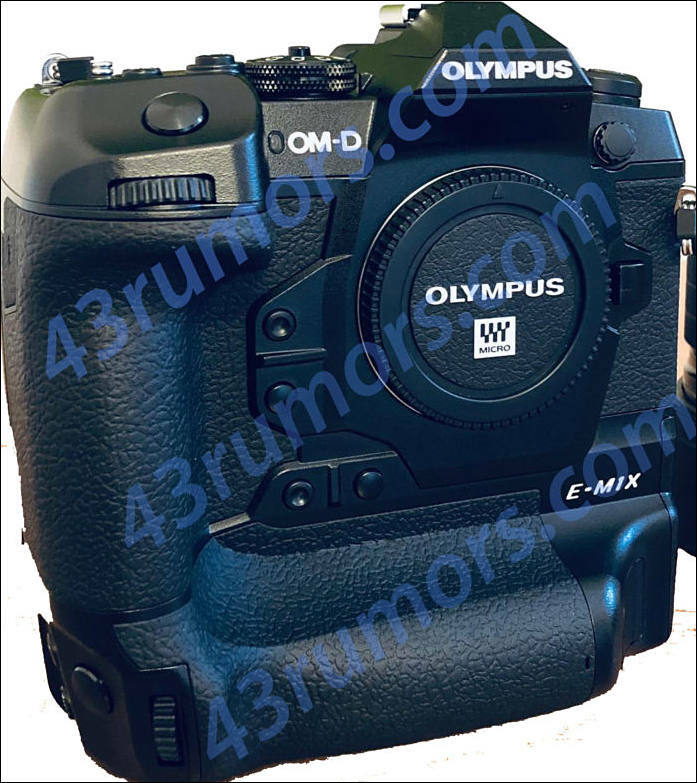 Olympus is rumored to launch a new E-M1X High End camera in January. The camera is rumored to feature some unique new tech not available in any other camera yet. I am not really sure in this name. But I am sure about high end price, all else won't be high end at all. I am also around 80% sure now that it'll be last more or less popular m43 camera from Olympus, as sales will flop division will be merged or closed. People who connected to sales or marketing of Olympus cameras are actively looking for jobs for some time already. Another trusted source who saw the camera told me the new E-M1X is a “Canon 1dx level” camera. It means it’s oriented for serious sports photographer and it has an integrated vertical grip! Any word on a new sensor for this camera @Vitaliy_Kiselev ? By idea must be some of Sony sensors. May be new, may be not. Bu as I said - main push will be on looks and marketing. I am very surprised they are doing so good. It works perfectly with people too if they stand reasonably still. Pentax made such mode in latest FF camera, and it does not work too good. Compared to tripod mode it is much much worse. It'll be very expensive photo body that they plan to sell in minimal amounts. The camera is the perfect working tool. It’s worth the high price of $3,000, I guess from what I’ve seen. Olympus had discussions with multiple dealers and told the price of the E-M1X is around $3,000. Most dealers are now pushing Olympus to lower the price as they think $3,000 is too high. Let’s see who wins. Seems like 43rumors have not much to post lately. 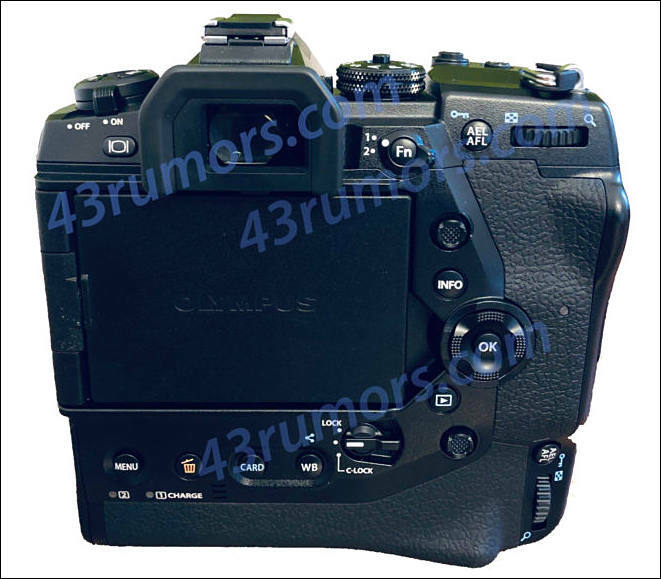 The new Olympus E-M1X is also rumored to have “AI autofocus”. It is move into right direction, but using wrong methods and not assisted by proper sensor and hardware. Rumors in industry is that it had been done intentionally. As Olympus top management need some clear reason to shut or sell cameras department. And this camera can help with this a lot. Sony is also in talks with Olympus due to intellectual property and engineers, especially ones related to lenses. In 2020 m43 actually can be cheap Sony lineup with medium lineup going to FF. It can be that around end of 2019 we will have TOTAL 2-3 m43 cameras left on the market. Vitaliy- what you hear or read is sometimes really strange. There will be new lenses and new cameras in 2019 and you talk about shutting down camera department. Olympus is really pushing forward. Sorry. But at the moment this looks like complete hater troll.